Why is there this darkness in my heart? and do just as they do? Yet be amazed at the abundant grace. 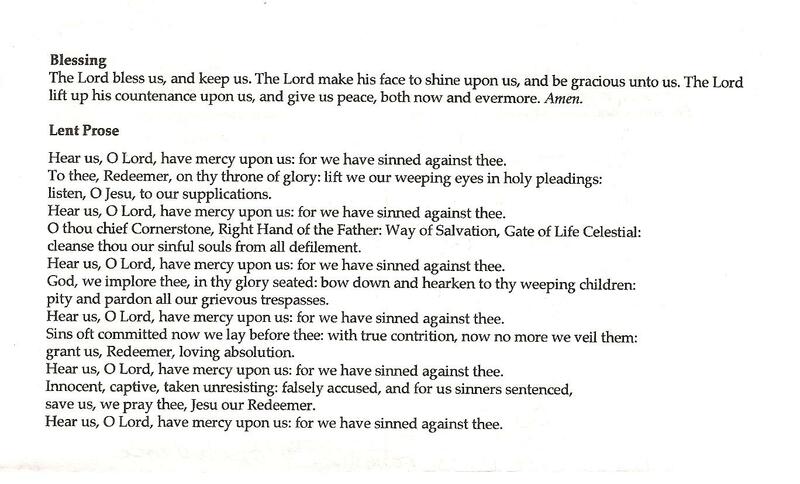 I love the Lent Prose (above) that the choir sang this evening at our Ash Wednesday service.